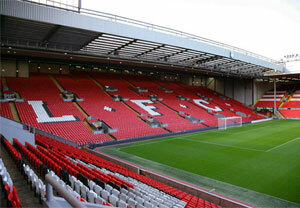 Fantastic Rugby, Cricket or Football Stadium Tours, we have lots of UK Stadium Tours to choose from at Greatest Gifts. An amazing Emirates Stadium Tour, Old Trafford Tour and a terrific Tour of Anfield are just some of the marvellous offers to choose from. The UK has some of the best and most varied sporting arenas in the world. We have fantastic football, rugby, cricket and athletics stadiums and there are hundreds of options for tours of the grounds and their facilities. 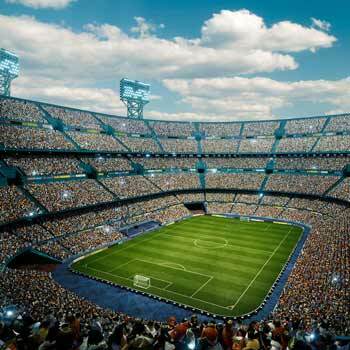 In London the choice is amazing and the Football Stadium Tours are the most popular. Arsenal FC occupies a ground in a marvellous modern setting and an Emirates Stadium Tour is highly recommended. Also in London is the home of English Rugby Union, Twickenham, and again this is just one of many wonderful UK Stadium Tours and can be enjoyed by rugby enthusiasts and those who are just wanting to experience an amazing arena. One not to miss is the home of football at the new Wembley. Opened in 2007, this magnificent stadium has a capacity of 90,000 and has a massive arch as its main feature. Standing at a tremendous height of 440 feet (134 metres) the "Wembley Arch" can be seen for miles around. Spanning over 1000 feet (317 metres) it is the largest single span roof structure ever built and even needs warning beacons for low flying aircraft. Outside the Capital there are many more superb sporting stadiums to visit and marvel at. Manchester United and Liverpool FC are two fierce rivals and their grounds are famous the world over. No wonder their Football Stadium Tours are so popular. A Tour of Anfield will have anyone amazed at the history of the club and the amount of trophies that Liverpool have won over many decades. Walk the tunnel down to the pitch and touch the famous "This is Anfield" sign that thousands of professional footballers have done before going into sporting battle on the pitch. A Tour of Anfield is definitely not one to be missed. Not far from here is Manchester United's huge arena, the biggest league football stadium in the UK with a capacity of over 75000. An Old Trafford Tour is a fantastic experience and again the club history is rich and the trophies are numerous. The Old Trafford Tour is an incredible day out and is so very popular with fans and tourists.